This morning I attended the first part of the Centre for Environment’s Research Day, and I’m glad I did, because I caught the talk by Chris Kennedy from the Sustainable Infrastructure Group in the Dept of Civil Engineering, on “Greenhouse Gases from Global Cities”. He talked about a study he’s just published, on the contribution of ten major cities to GHG emissions. Chris points out that most of the solutions to climate change will have to focus on changing cities. Lots of organisations are putting together greenhouse gas inventories for cities, but everyone is doing it differently, measuring different things. Chris’s study examined how to come up with a consistent approach. For example, the approach taken in Paris is good at capturing lifecycle emissions, London is good at spatial issues, Tokyo is good at analyzing emissions over time. Each perspective useful, but the differences make comparisons hard. But there’s no obvious right way to do it. For example, how do you account for the timing of emissions release, e.g. for waste disposal? Do you care about current emissions as a snapshot, or future emissions that are committed because of waste generated today? The IPCC guidelines for measuring emissions take a pure producer perspective. They focus only on emissions that occur within the jurisdiction of each territory. This ignores, for example, consumer emissions when the consumer of a product or service is elsewhere. 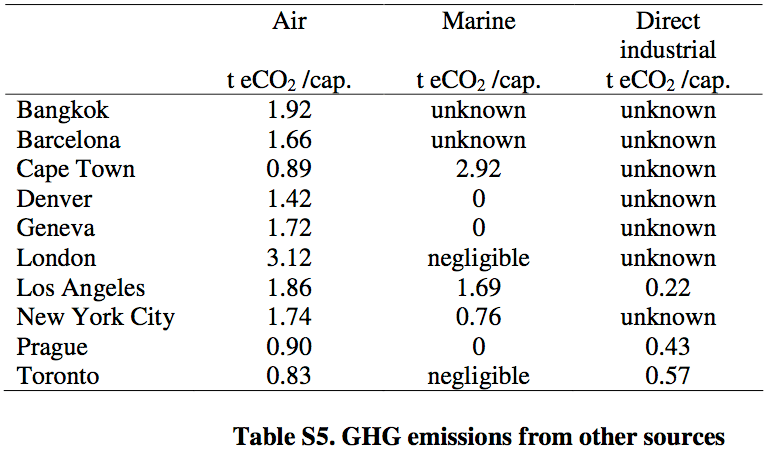 It also ignores upstream emissions: e.g. electricity generation is generally done outside the city, but used within the city. Then there’s line loss in power transmission to the city; that should also get counted. In Paris, Le Bilan Carbon counts embodied emissions in building materials, maintenance of vehicles, refining of fuels, etc. but it ignores emissions by tourists, which is a substantial part of Paris’ economy. In the study Chris and colleagues did, they studied ten cities, many iconic: Bankok, Barcelona, Cape Town, Denver, Geneva, London, Los Angeles, New York, Prague and Toronto. 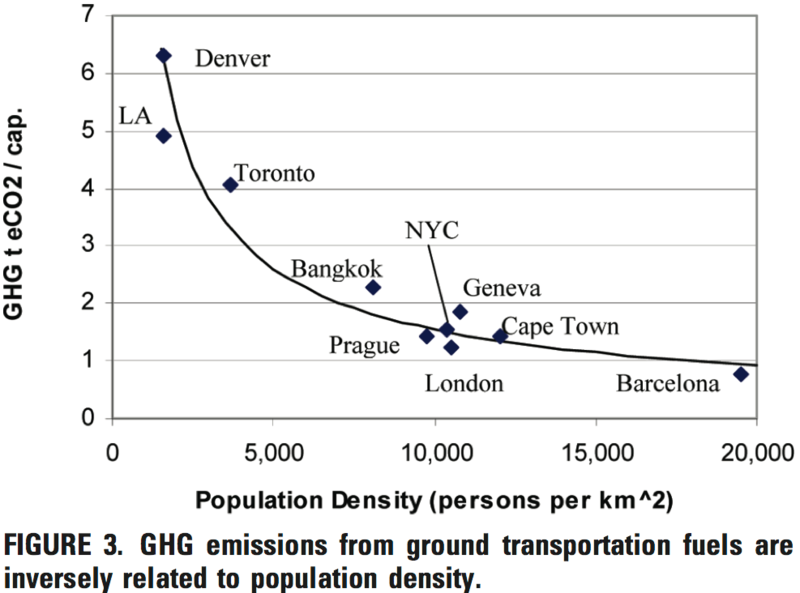 Ideally they would like to have studied metropolitan regions rather than cities, because it then becomes simpler to include transport emissions for commuting, which really should be part of the assessment of each city. 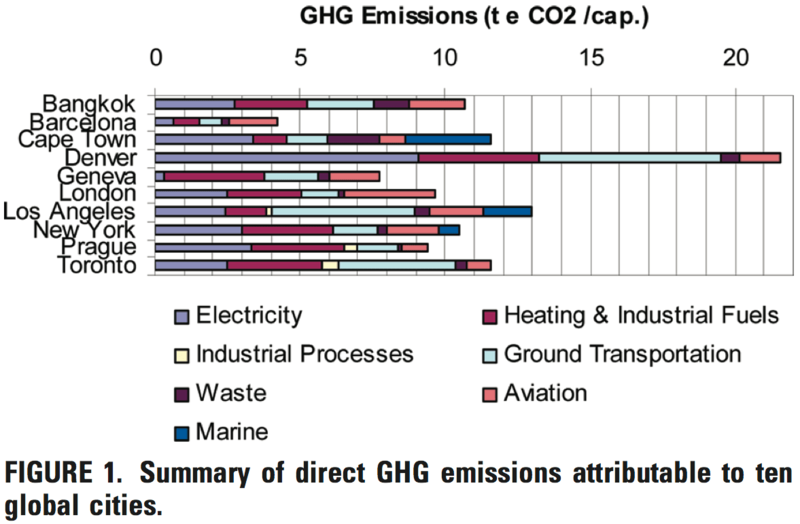 The study relied partially on existing assessments for some of these cities and analyzed emissions in terms of electricity, heating/industrial fuels (lumped together, unfortunately), ground transport, aviation and marine fuels, industrial processes, and waste (the methodology is described here). Chris concluded the talk with some data from Asian cities that were not included in the above study. In particular, Shanghai and Beijing are important in part because of their sheer size. For example, if Shanghai on its own was a country, it would come it about #25 in the world for total emissions. 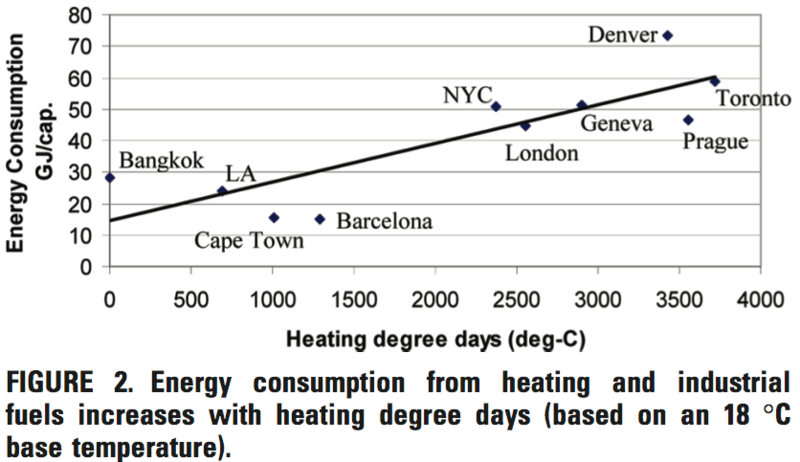 I have read the article related to Greenhouse Gases from Global Cities. I do not see any methodology in it but rather interesting methods.